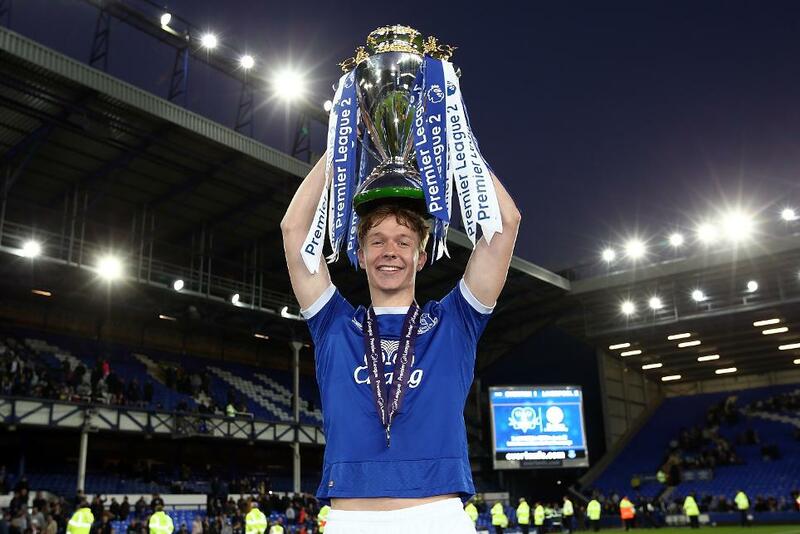 Everton's Kieran Dowell has been given another reason to celebrate this week after winning April's Premier League 2 Player of the Month award. The 19-year-old midfielder scored once in two matches last month as David Unsworth's Toffees clinched the PL2 Division 1 title, leading to lifting the trophy in front of 17,525 fans at Goodison Park on Monday 8 May. "The award caps off a great season for him," David Unsworth, the Everton PL2 coach, told evertonfc.com. "Kieran’s had a brilliant second half of the season, his form has been outstanding, he’s scored and created goals for fun." Dowell was selected by a panel of the Premier League Football Development from a shortlist generated by a poll of all the PL2 managers, who nominated the best individual performance from their opponents throughout the month. He is the second Everton player to win the award in 2016/17, after Liam Walsh in February.